I have to admit that I was the mom who would constantly hover over baby to make sure that everything was ok i.e. breathing correctly, sleeping correctly, feeding on time, etc. While my baby was safe, I probably didn't do half the things that I wanted and needed to plus I didn't sleep while baby slept. Levana is committed to baby safety while allowing parents to do more with peace of mind with their fantastic monitors. The Levana Ovia 2 camera video monitor looks great and is easy to use. The option of having two cameras (expand up to 4!) connected to one monitor for viewing is really nice because you can place them in multiple rooms that you child(ren) will be in. I like to put one in Mason's room and Kenzie's room. I would also ideally like to get one for the playroom as well. 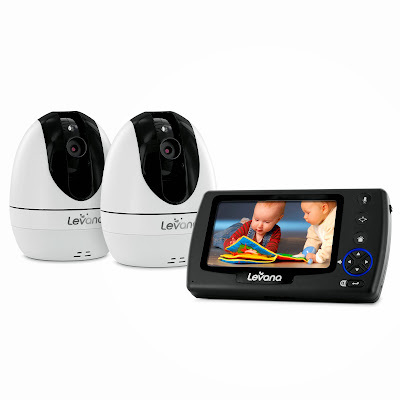 The large 4.3" LCD screen on the monitor is clear and the touch panel controls are easy to use. The monitor has an 8 hour charge which means no need to constantly recharge during the day. 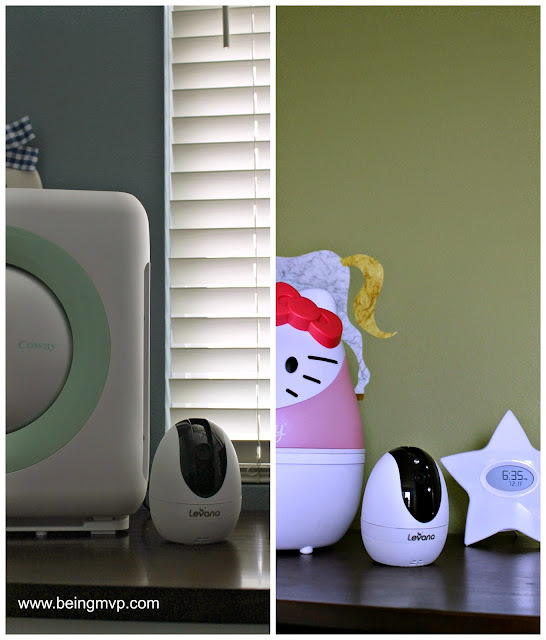 You can turn on power-saving PEEP mode and Ovia’s screen will light up when your child makes a noise. Pretty neat right? 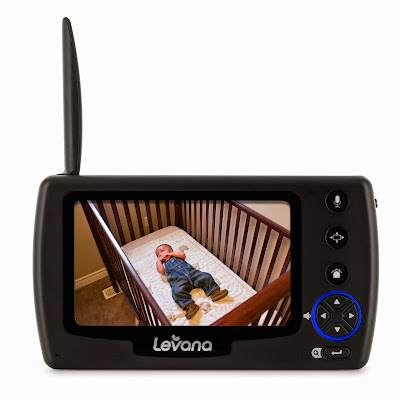 A unique feature of the digital Levana wireless monitor is that it comes with a micro SD card to directly save photos and videos and upload to your computer. I know that sometimes I wish I could have captured certain moments from my kiddos' infant phase. This way you can capture exciting moments and then upload to share/save. The pan, tilt and zoom functions of the camera are whisper quiet so you will not be disturbing your child while napping (or even while they are playing and/or up to no good). I love to get in a good surprise and capture them in a "bad act". I like that I can talk to the kids through the intercom, especially so I don't have to get up in the middle of the night to "hush" them back to sleep. No direct disturbance for me and a quicker method of putting them back to sleep. Or if they like musical lullabies, you can turn on one of 3 pre-programmed lullabies to soothe. I love the security of having the two monitors in the kid's rooms so I can safely monitor them while being downstairs on the 1st and/or 2nd floor of our home. I can definitely get so much done around the house now that I am not sitting in the rocker in Mason's room making sure he is ok while napping or watching the kids play together without getting into tats. Yes I feel like a "helicopter mom?" on some days but the leash has gotten longer due to the fantastic Levana cameras. The monitor is easily set up on the counter with its stand and I can cook, bake, craft, watch TV, read a book, fold laundry, hang out with Hubs or even just lounge and do nothing (rare!) without worrying what the kids are up to without my hoovering. Life is grand. Being a mom keeps us busy! What do you wish you could do more of?